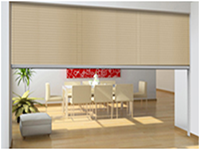 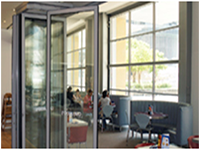 The Modernfold Encore® is offered in 3 configurations: single panel, paired panels, and electric continuously hinged. 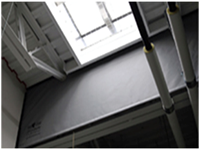 They all have panel widths of 4″, roll formed and welded 14/16 steel frames, and industry leading sound ratings up to 56 STC. 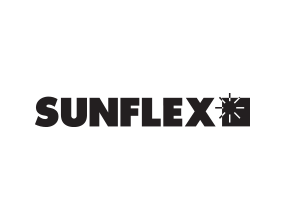 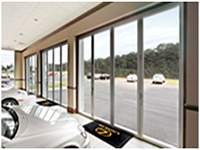 Encore’s automatic set-up provides error proof system operation and repeatable sound control performance. 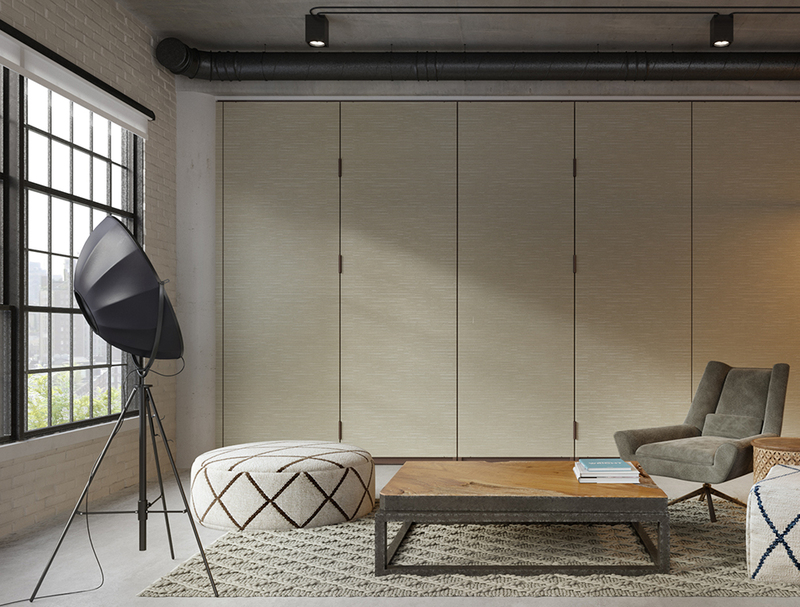 For the largest openings, storage in remote pockets, and for complex partition layouts, the Encore single panel is the operable partition of choice. 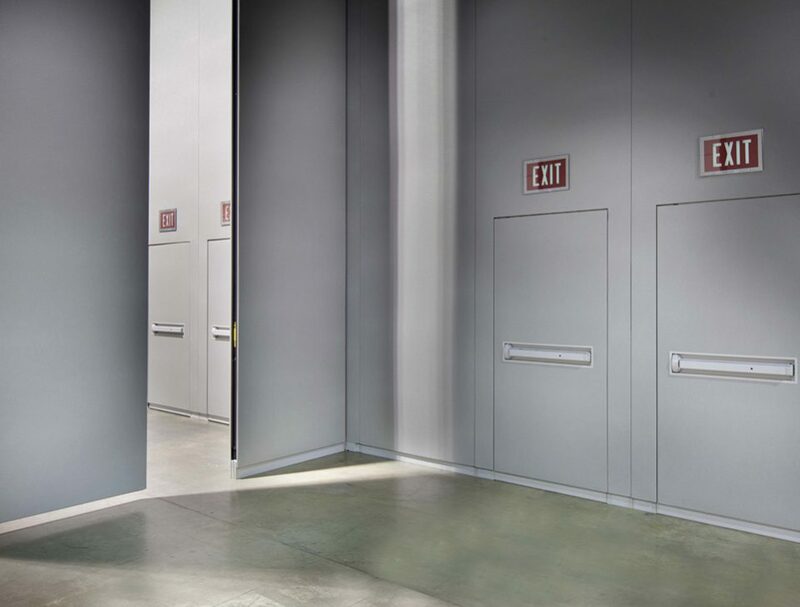 Encore’s single panel systems provide the ultimate in versatility and flexibility, allowing such capabilities as multiple room setups and changes in the location of pass doors and work surfaces. 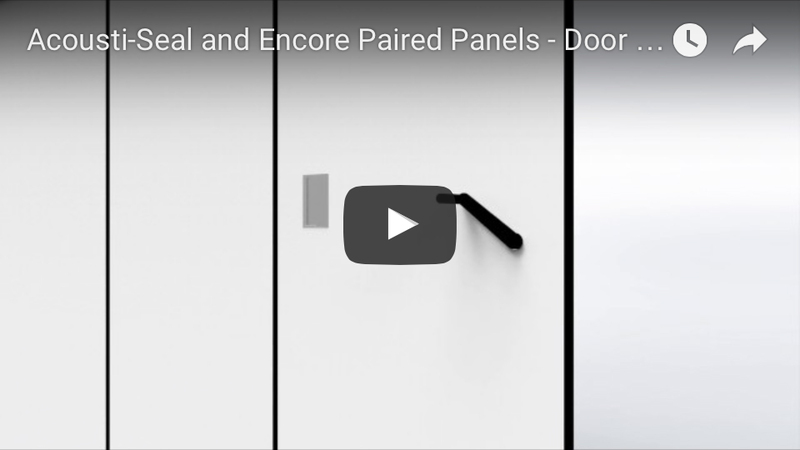 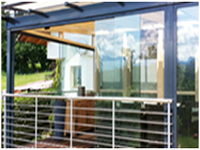 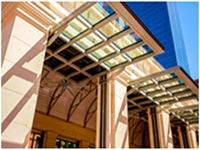 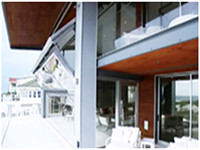 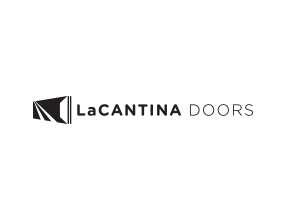 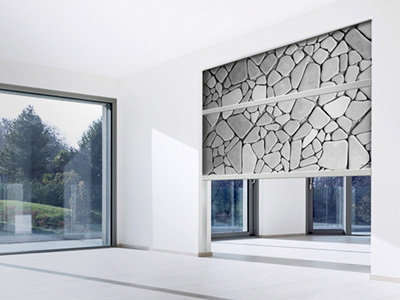 For straight-line openings that do not require multiple locations or offset storage, an Encore paired panel system is ideal. 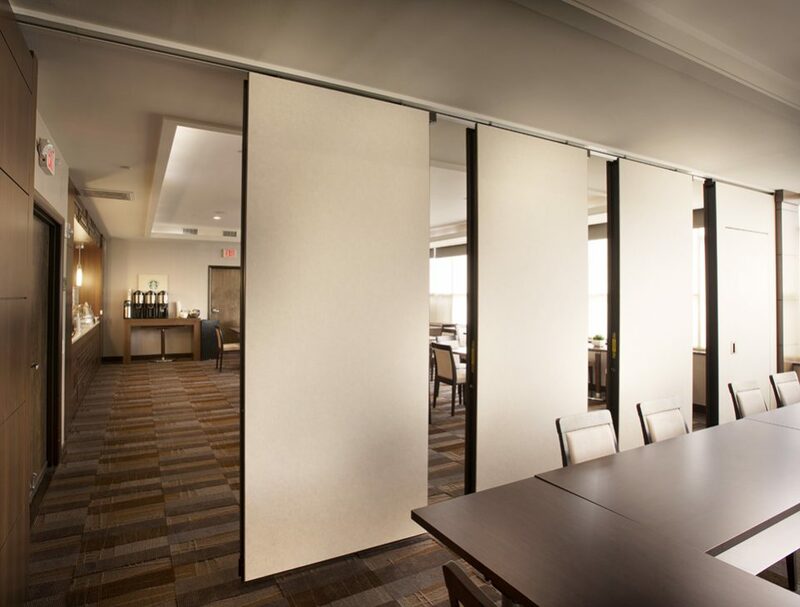 Quick and easy setup is possible since panels are hinged together in groups of two and move in a straight line within the opening. 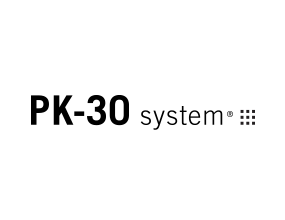 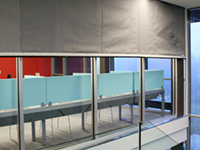 Automated panels are connected together in a train, automatically extending as one complete unit. 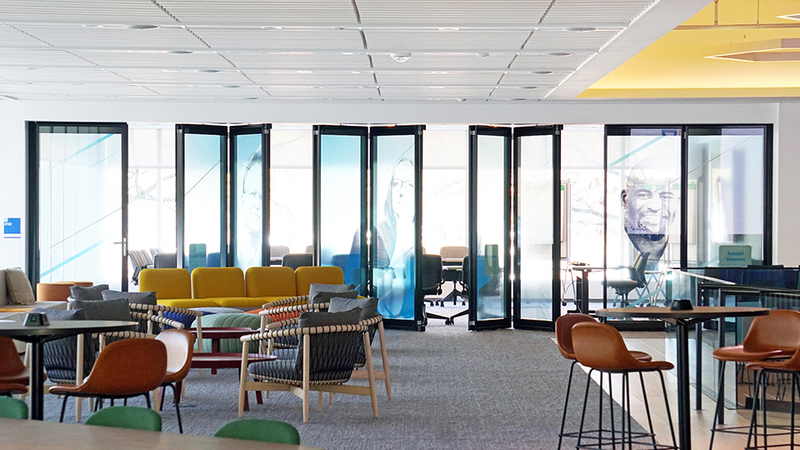 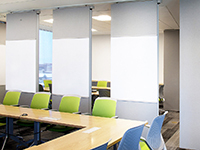 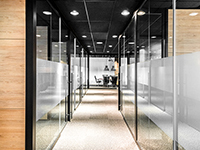 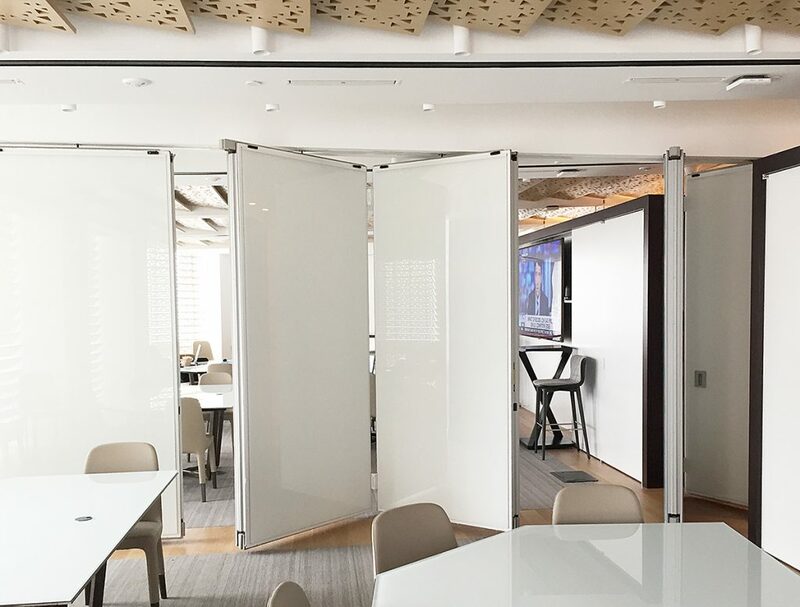 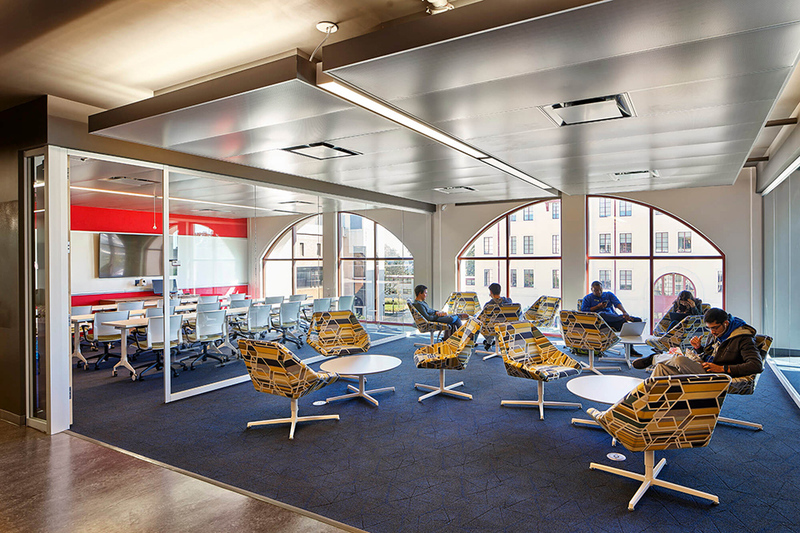 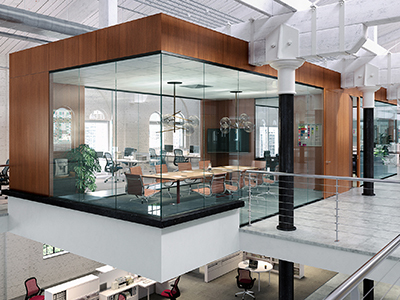 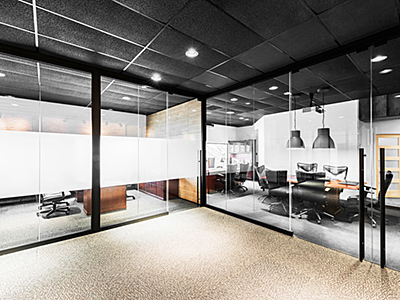 Modernfold’s Acousti-Seal® Encore® Automated partitions facilitate quick setup time and provide efficient and convenient separation. 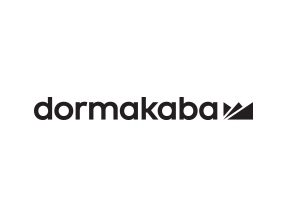 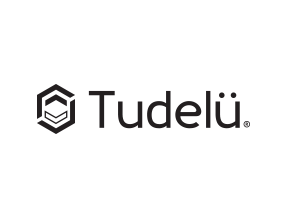 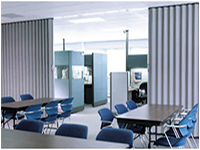 Automated operation provides automatic setup without the need for manually moving the partitions into place. 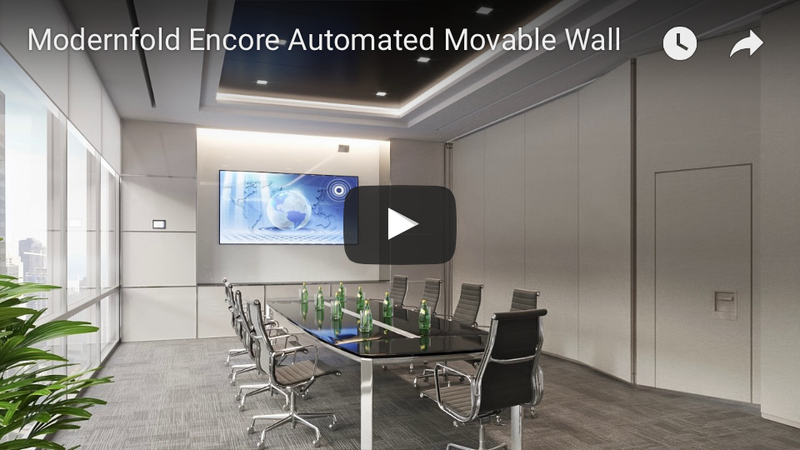 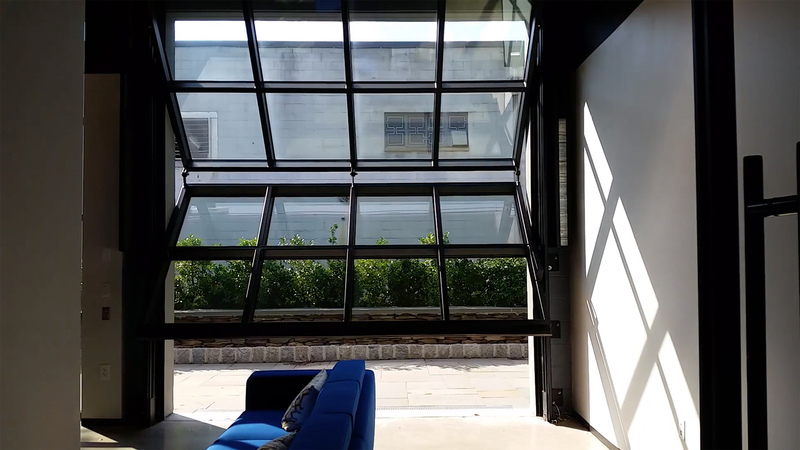 See video of the NEW Encore Automated Movable Wall below. 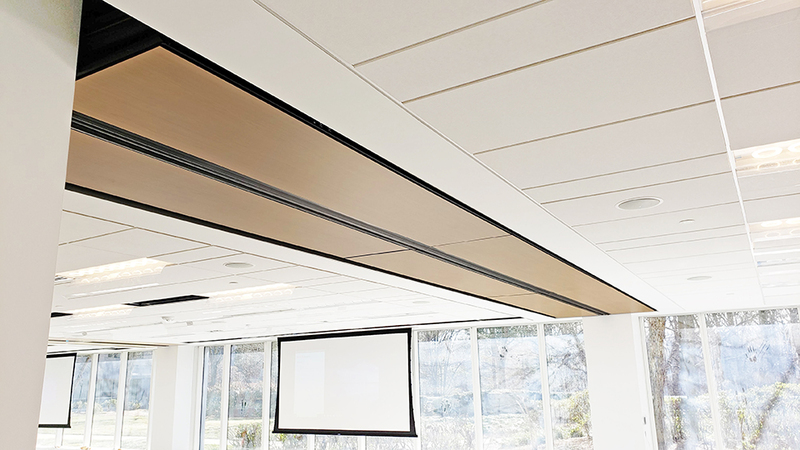 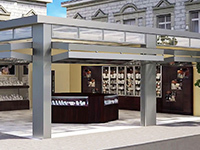 Create unique designs, including routered designs, raised/recessed faces, and reveals. 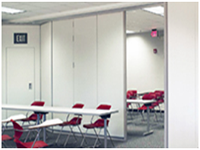 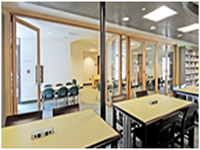 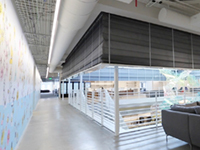 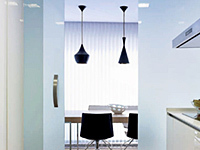 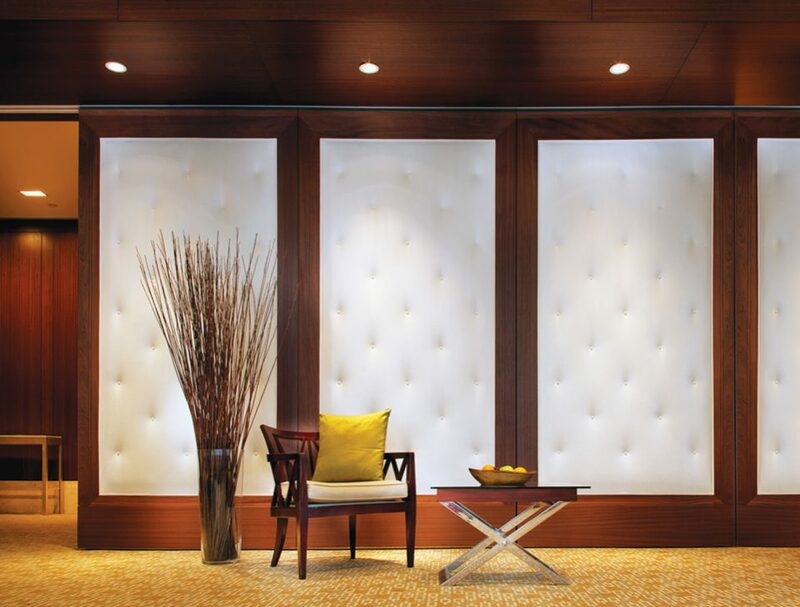 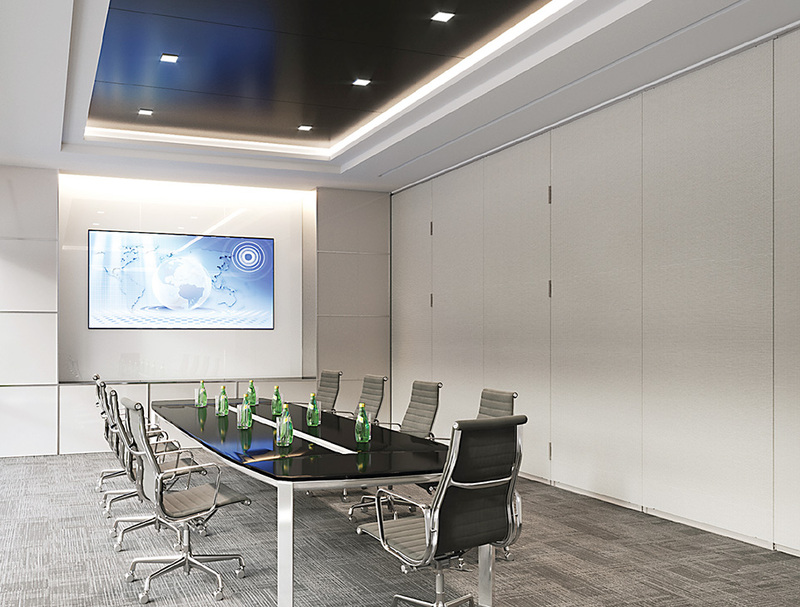 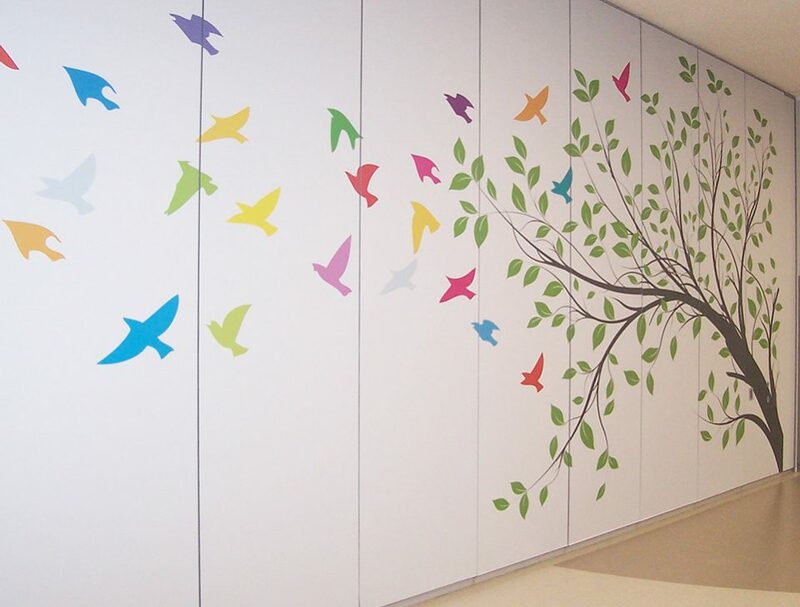 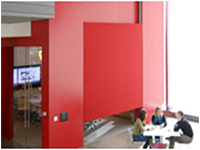 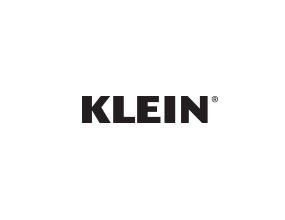 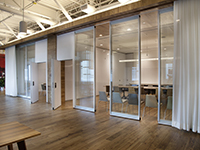 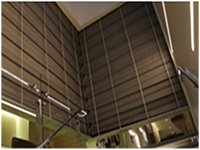 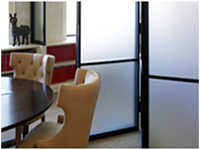 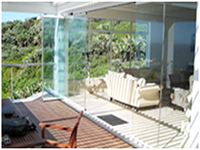 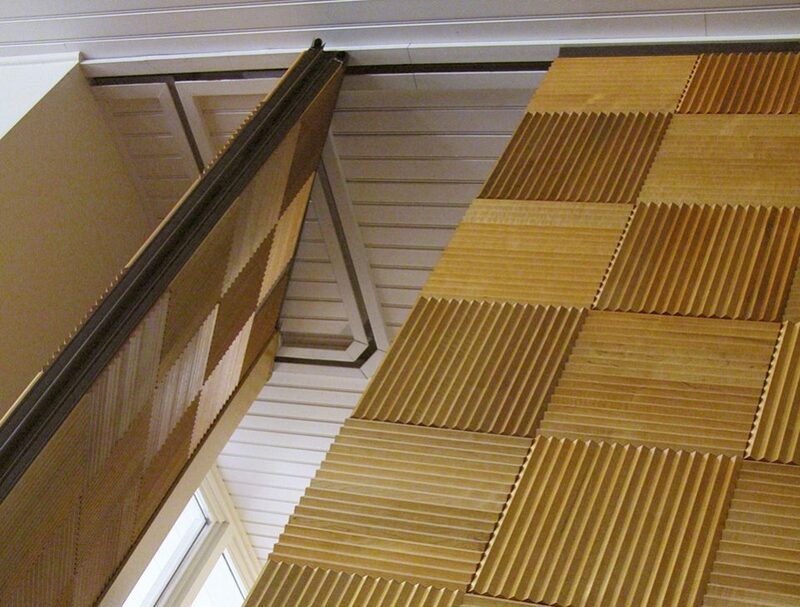 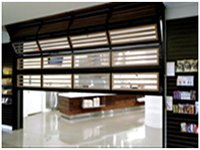 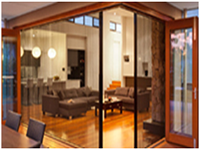 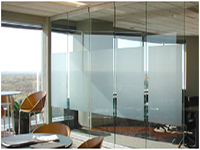 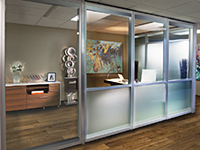 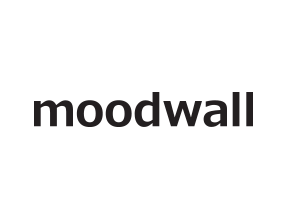 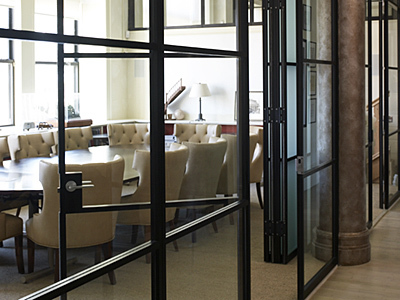 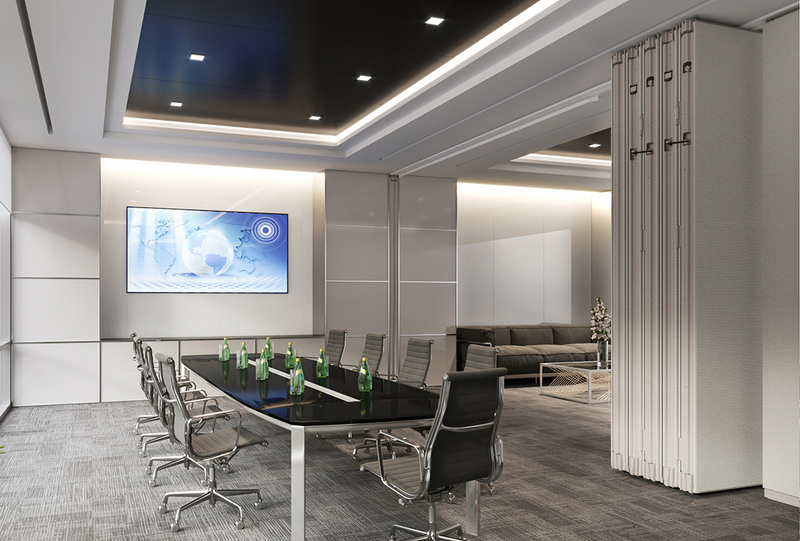 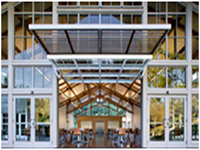 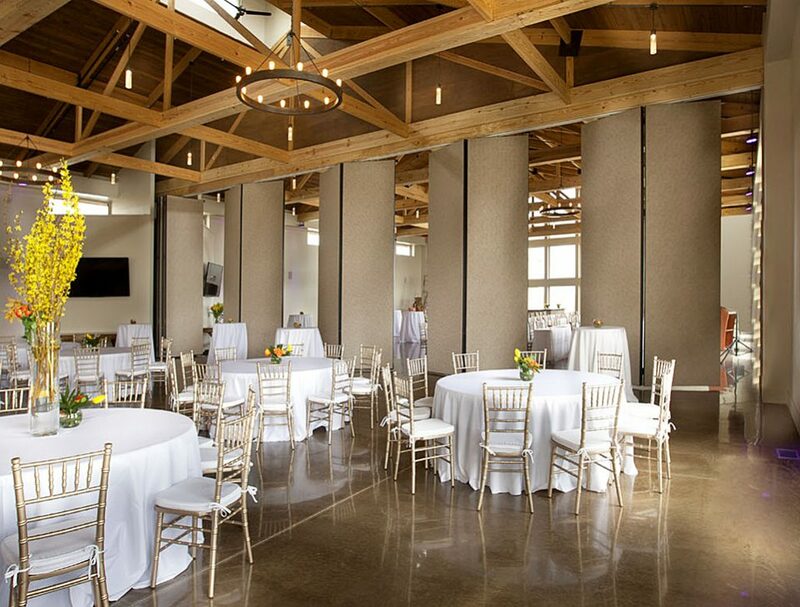 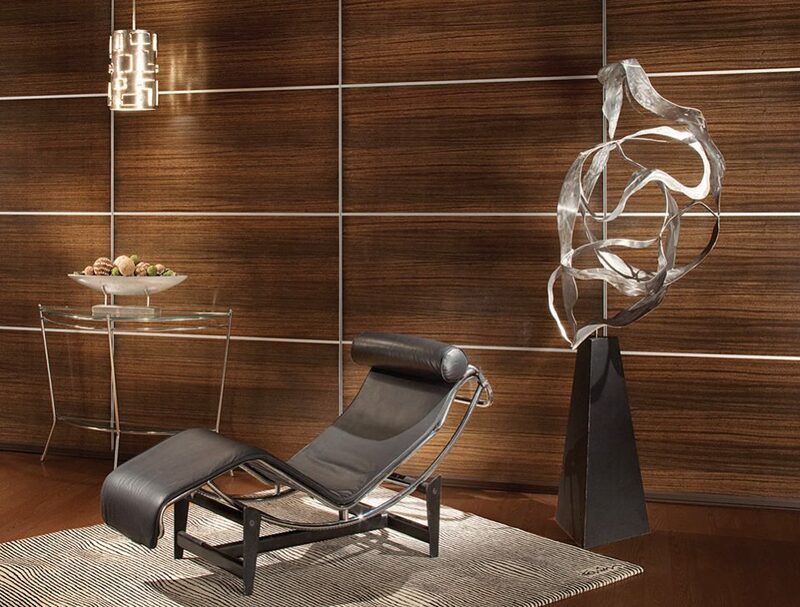 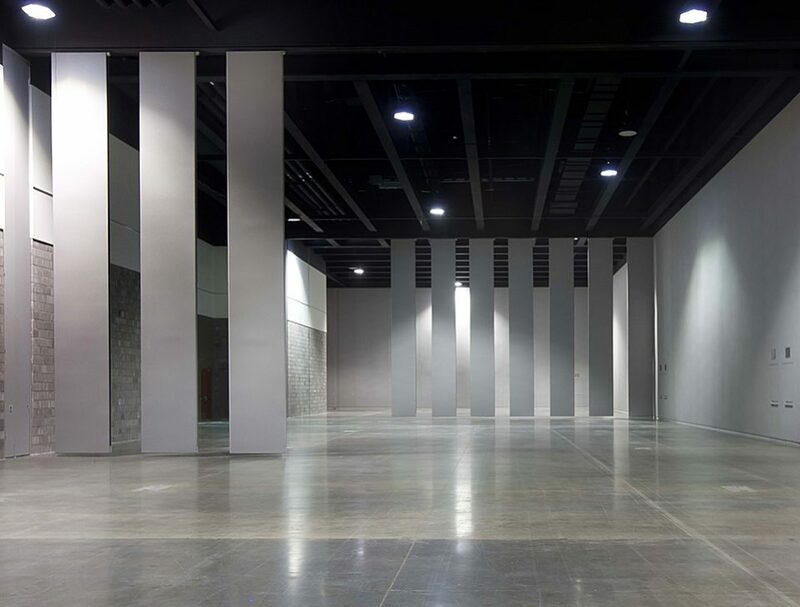 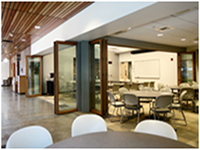 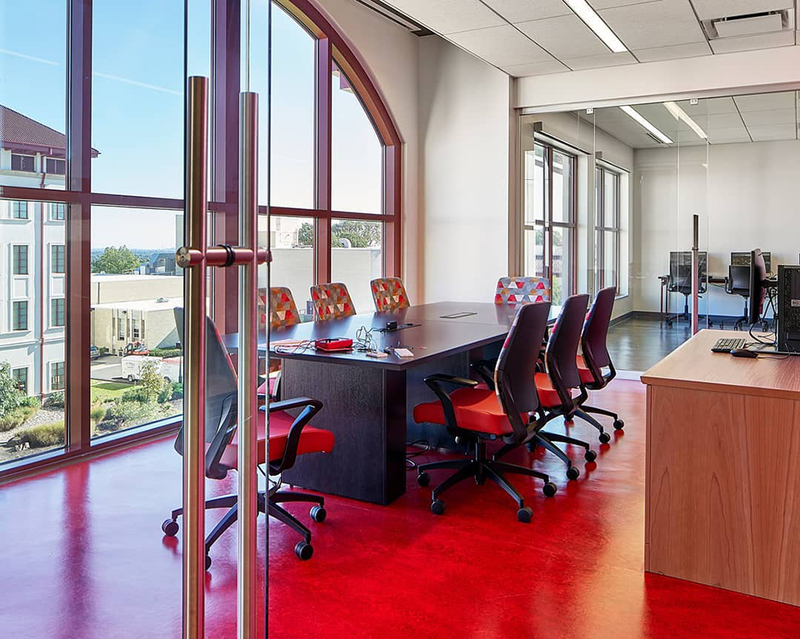 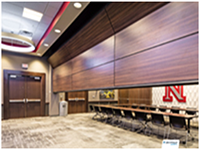 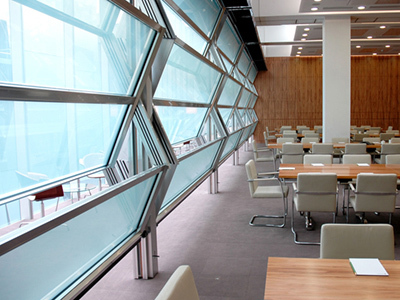 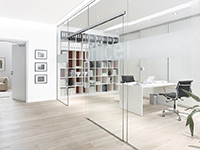 Trim & moldings are available to complete your operable partition design. 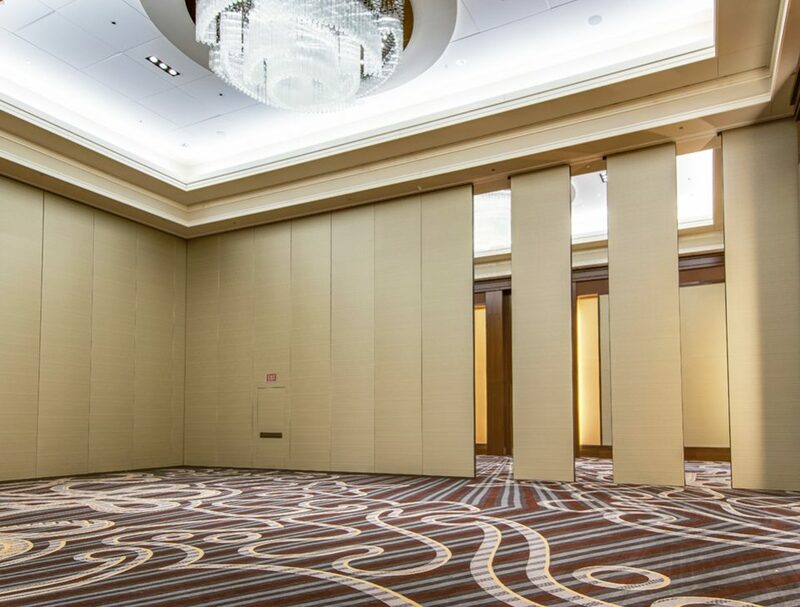 Encore raises the bar in operable partition acoustic performance with an unprecedented industry leading 56 STC. 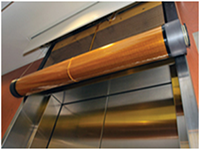 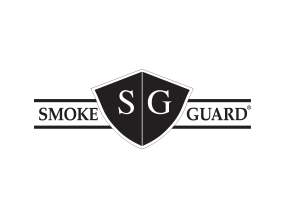 Contact us to identify the right track solution specific to your project. 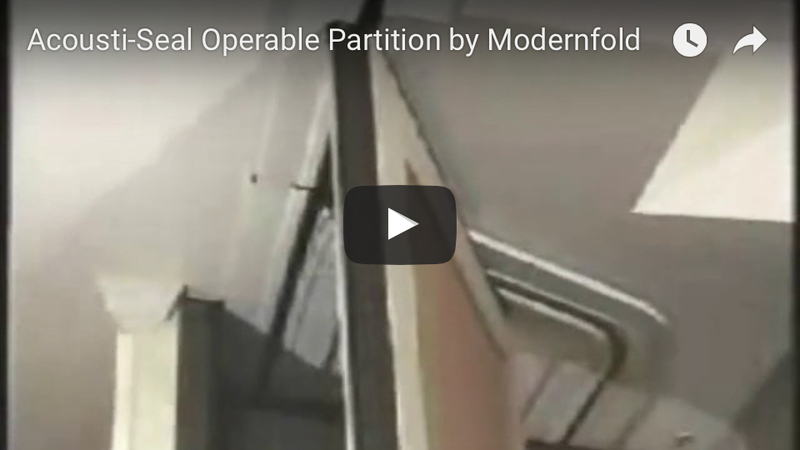 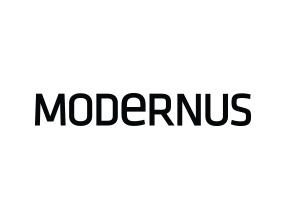 Modernfold continues to expand the programming capabilities of the #17 and #14 steel track and trolley systems. 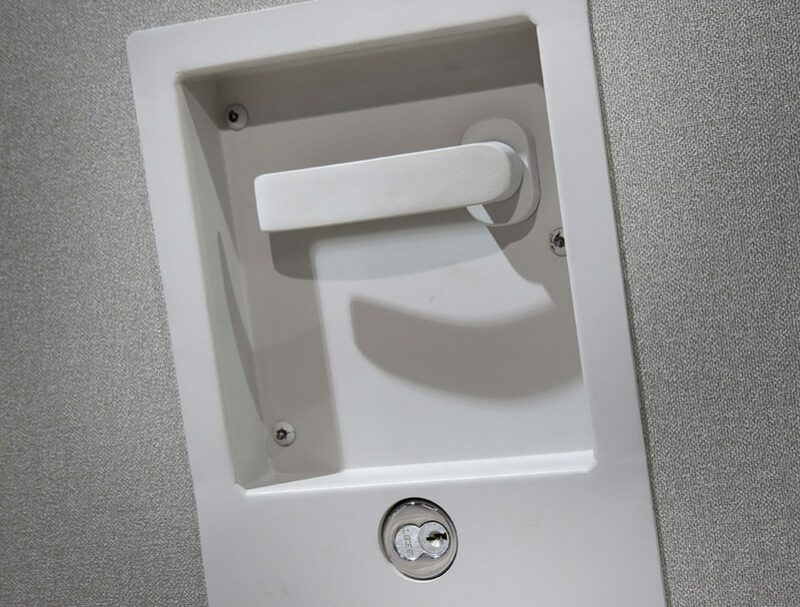 Smart Track® allows the user to solve even the most complex layout and switching challenges without the added expense and maintenance requirements of electric or pneumatic switches. 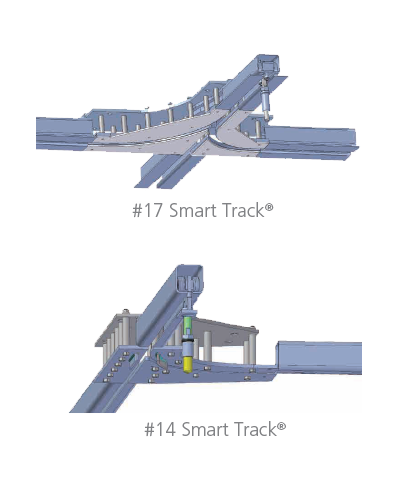 #17 and #14 steel track designs provide added staging and sorting abilities while reducing operational confusion, setup costs, and trolley stress. 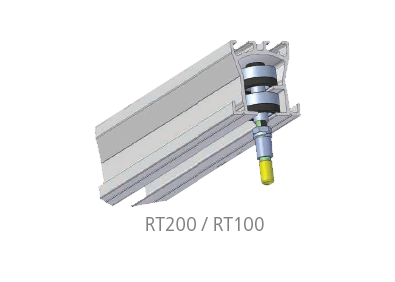 The RT200 and RT100 right angle suspension systems provide an alternative where grid layouts are a must. 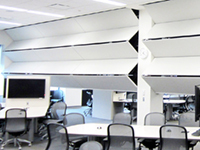 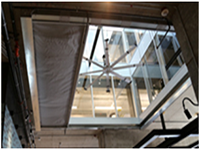 Right angle track systems allow the user to set-up and arrange the partitions in numerous configurations. 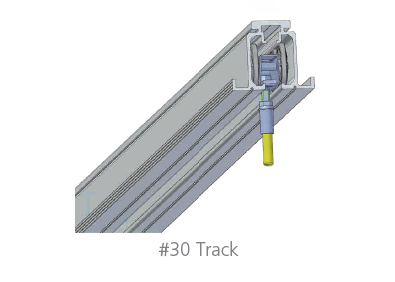 For situations where an aluminum suspension system is a must, #30 track is available for paired panel operation. 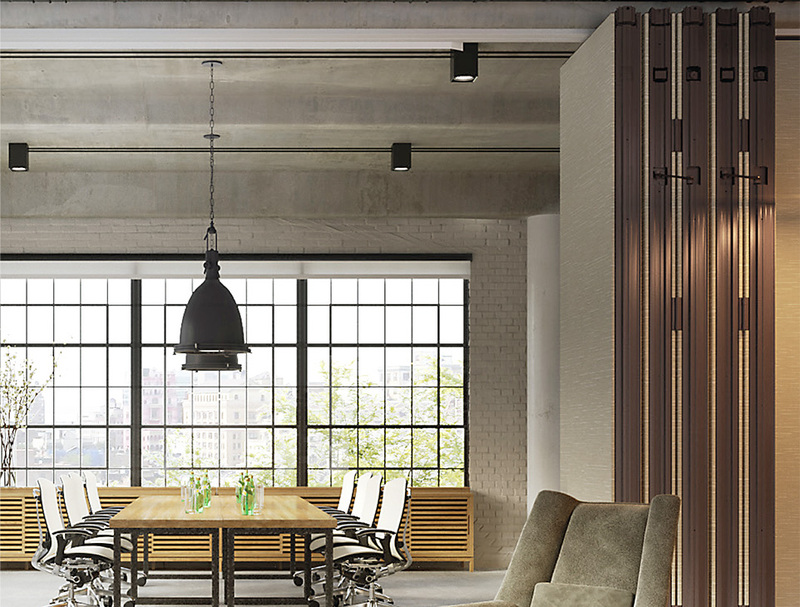 Made of strong structural aluminum and featuring a smooth quiet operation, #30 track is an outstanding alternative to the #17 and #14 steel track.